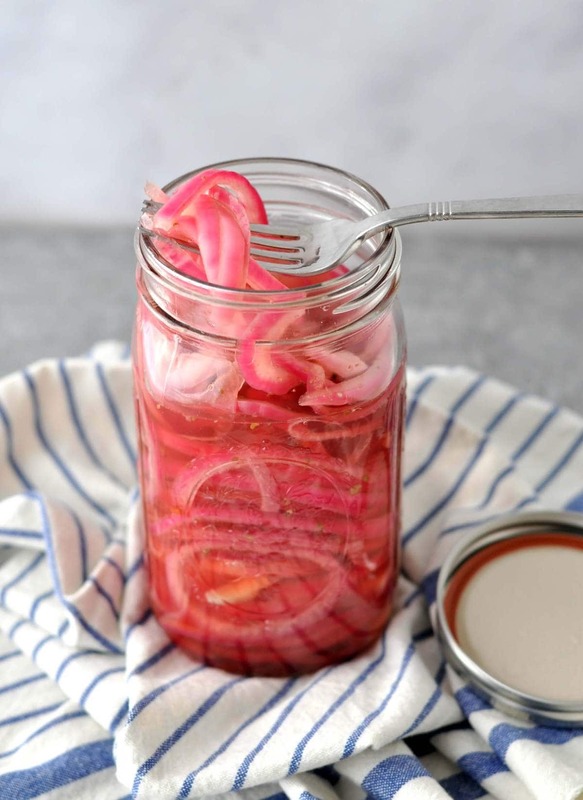 These keto pickled red onions are super easy to make and add a lot of flavor to anything you add them to. I put them on salads, protein bowls, eggs, anything! In fact, I look for excuses to add them to my meal. I’m not sure when the first time I ever had pickle red onions was, but I can tell you exactly when I fell in love with them. 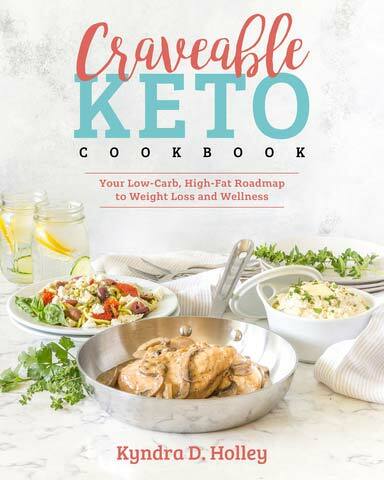 Back in January, during my Craveable Keto book tour, I was making a lot of trips to various Whole Foods salad bars. 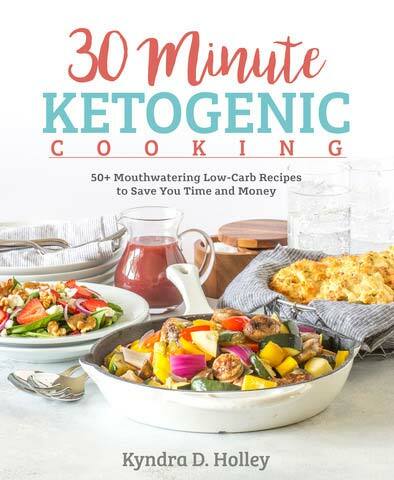 They have the biggest and best salad bars around, and the best thing about them, is that every single prepared item on the salad bar lists every single ingredient, so you always know exactly what you are getting. Almost every one I went to had pickled onions and I was piling them on all my salads. They were so good, BUT, they had sugar in them. 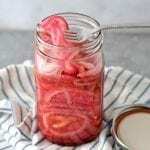 I knew that as soon as the tour was over and I was home and back in the kitchen, that I wanted to make my own low carb pickled red onions recipe. 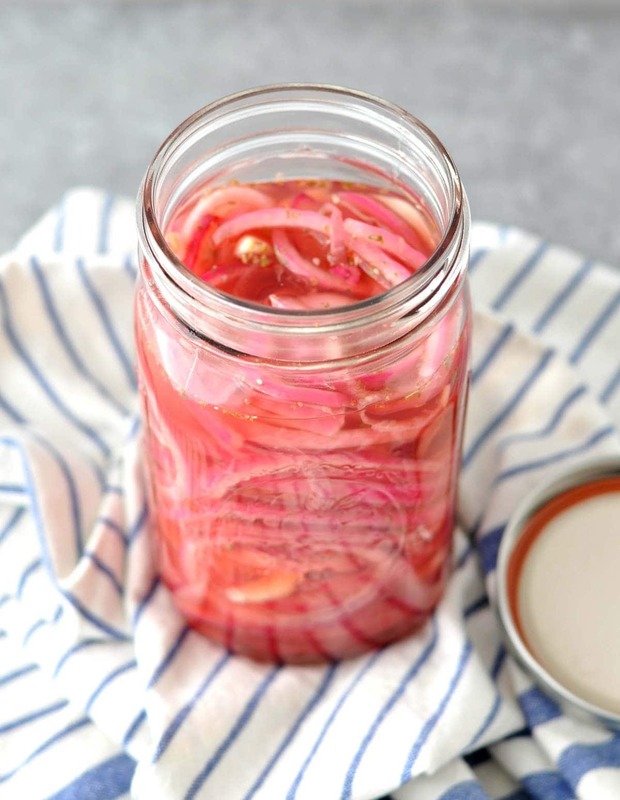 I think the reason I love these low carb pickled red onions so much is that they have the perfect balance of bitterness from the red onion, sweetness from the erythritol, and acidity from the vinegars. When you put those three things together, you have a match made in heaven. 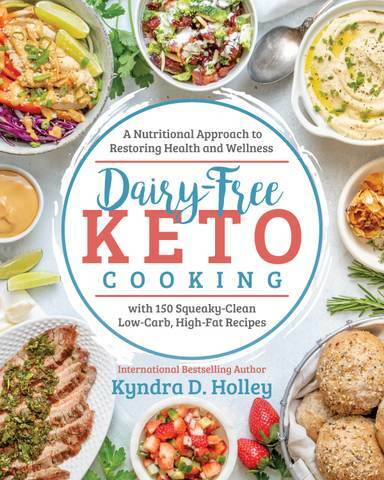 I have been putting them on everything – salads, lunch bowls, tacos, steak, eggs, etc. 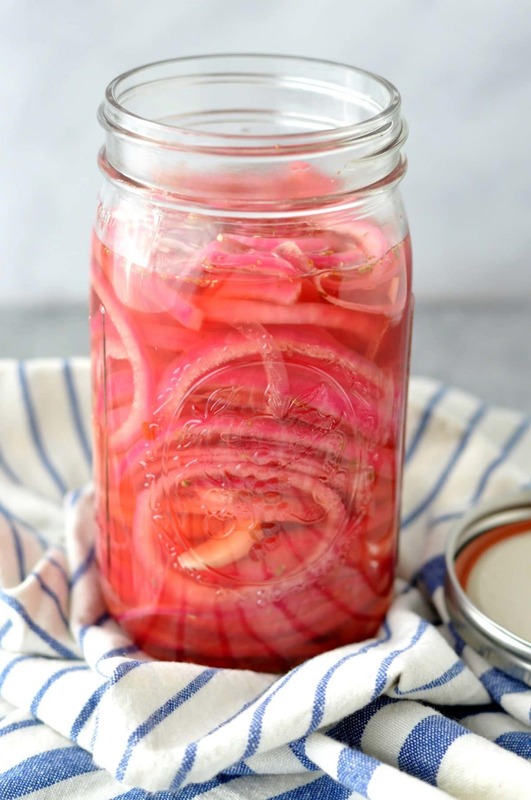 I am actually guilty of building an entire meal around whether or not it would go good with these pickled red onions. The other thing I really like about them is that they will keep in the refrigerator for at least a couple of months… if you can make them last that long, that is. Just store them right in the mason jar you made them in. I have swapped out all my metal mason jar lids, for these reusable plastic lids. They are so much easier to clean, and then I can avoid the ring of rust from the metal lids. And since I store everything in mason jars, they come in really handy. The perfect blend of sweet, sour, and salty. I love to put these onions on everything from my morning eggs, to my lunch time salad, to the top of my steak for dinner. In a saucepan over medium heat, combine the red wine vinegar, apple cider vinegar, erythritol, and salt. Bring to a light boil, stirring until the erythritol and salt are dissolved. Put the onions, garlic, oregano and red pepper flakes into a 32 ounce mason jar. Pour the liquid over top, submerging the onions and mixing in the oregano and red pepper flakes. Store in the refrigerator for up to 2 months. You can eat them after 2 hours, but they just get better and better the longer they are in the fridge. 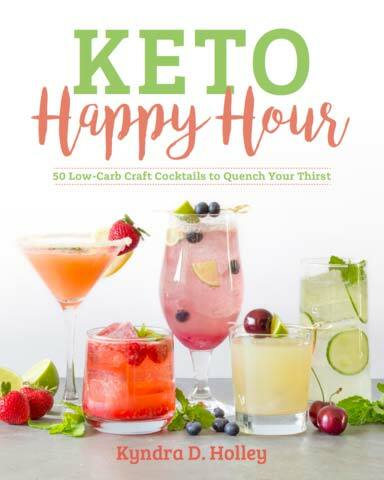 ok – I WILL DEFINITELY be making these!! Especially since I have planted pupple onions this year!! Thanks!!! Made this recipe yesterday and tried the onions today. They were super good! 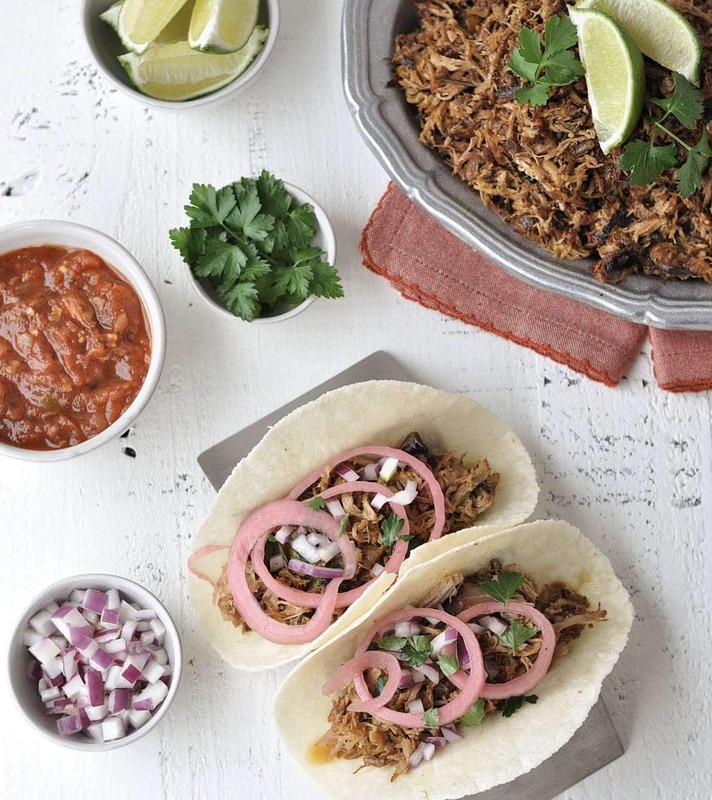 I used authentic Mexican oregano, and a little bit more than what was called for in the recipe. That made the pickled onions go super well with the tacos we had! Will definitely be making this again. I think these onions can be home canned too. What do you think? I’m honestly not sure as I have never done any home canning. If you try it and it works out, please do let us know. Can you use regular sugar instead of sweetner? You can use any type of sugar or sweetener that you prefer. Just be advised that it will change the nutritional information. Made these and they were a BIG HIT! Thanks Kyndra. Gone in a blink, which leads me to wonder if I can reuse / reheat the leftover juice? Seems like a waste, but don’t know if it would lose something. I reused the juice. The first time, I just boiled the juice and poured it over the onions and it was fine. Then 2nd time, it didn’t have quite as much flavor so I’d start over after once. I can’t stop eating these- just by themselves!!! So delicious. I didn’t have any apple cider vinegar so I used white distilled, but I imagine the apple cider would be even better!!! It never crossed my mind that you could pickle things using ACV, I definitely have to give these a try!